On Thursday, Schaeuble ensured that he did not succumb to the International Monetary Fund’s demands for a clear agreement on significant debt relief, while keeping the Fund on board in the Greek programme for the time being. The option of the IMF approving its participation in the Greek bailout “in principle” and not releasing any new funding until there is greater clarity regarding debt relief had not been publicly discussed before the May 22 Eurogroup. The Fund’s public position until then had been that if Greece agreed on the policy reforms the IMF wanted (mainly changes to the pension and tax systems), it would then put pressure on the eurozone lenders to agree to the kind of debt restructuring that would allow the Washington-based organisation to participate in the Greek programme. The Greek government appeared to take it for granted that since Schaeuble needed the IMF on board to live up to his pledge to German MPs, the adoption of 2 percent of GDP in tax and pension measures would also secure the much-desired clarity on debt sustainability. The German finance minister, though, sensed there was a chink in the IMF’s armour and took full advantage of it. He used the Fund’s demands for further reforms as the battering ram that forced Tsipras into submission and then banked on the Washington-based organisation not wanting to stand in the way of a disbursement without which Greece might default in July or to cause a political fuss in Germany ahead of the September elections. As a result, the IMF decided to make do with a slightly more detailed pledge on debt restructuring and an “in principle” approval of the Greek programme, enough for the show to go on. Given these gains for Schaeuble, what was left for Greece? A funding crisis in July was avoided but it would be a bit pathetic for Greece and its lenders to argue that after 7 years of bailouts, preventing a Greek default was any kind of worthy achievement. Instead, Athens can point to the fact that it secured an enhanced bailout tranche of 8.5 billion euros, which includes 1.6 billion euros that will be set aside for clearance of arrears. The total arrears currently stand at almost 5 billion euros and this extra funding will inject some vital liquidity into the Greek market. There was also a reference in the Eurogroup statement to the Greek government and the European Commission working together to make another 970 million euros of EU funds available. The amount is not insignificant, but many similar pledges have been made in the past and come to very little. Greece also knowns after Thursday’s meeting that it will have to produce primary surpluses of 3.5 percent of GDP between 2018 and 2022, while the surpluses from 2023 to 2060 would have to be “equal to or above but close to” 2 percent of GDP. Again, this is nothing to shout from the rooftops about. It provides some certainty for the years ahead and means lower targets than some of the lenders might have initially wanted but it also requires Greece to set aside around 100 percent of its GDP in primary surpluses between now and 2060. For the first time, there was also a reference to the proposal that France had been pushing for the past few days, which links the debt relief that Greece will receive to its growth rates. The workings of this mechanism are still vague and need to be clarified in the months to come. Ultimately, the target remains the same: Keep Greece’s gross funding needs under 15 percent of GDP in the medium-term and below 20 percent of GDP in the long-term. When this is all weighed up, Prime Minister Alexis Tsipras can claim that his government secured some more funding than expected for clearance of arrears, a little more clarity on debt relief measures, the pledge for nearly 1 billion euros extra in EU fund, certainty regarding fiscal targets and an expression of support for a return to the markets. What he did not get, though, is the clarity and extent of debt relief that the IMF wanted to declare Greek debt sustainable, the green light from the European Central Bank for Greek bonds to be included in its QE programme and the immediate and secure path to the markets he wanted. The ultimate target of exiting the programme remains in the sights of Greece and its lenders. The reference at the end of the Eurogroup statement to supporting the Greek attempt to regain market access underscores the wishes of all sides for a successful bailout exit in August 2018. Because if Greece can borrow from the markets, it does not need to borrow from the eurozone and a fourth bailout, which would pain everyone involved, would not be needed. Thursday’s agreement moves things in this direction but still leaves much work, more than Athens would have liked, to be done. It also creates a corridor of uncertainty between now and next August, in which there is the potential for things to go wrong. Although there is no immediate reason to believe there will be drama in the months to come, an underperformance of the economy, an unsuccessful bond issue, a protracted review, cold feet on debt relief or some kind of political instability could affect the situation. Tsipras needs to provide intelligent leadership in the months ahead and this is not something that can be taken for granted. On May 17, he told journalists following his meeting with IMF managing director Christine Lagarde in China that he was confident Greece would get the debt relief package he wanted. 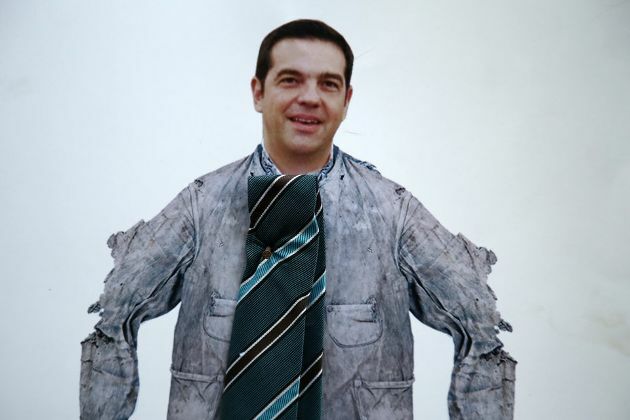 He was so upbeat, in fact, that he joked he soon might have to wear a tie (he pledged some time ago to wear a tie if Greece’s debt is restructured). Five days later, at the May 22 Eurogroup, it became obvious that this possibility was nowhere in sight. By June 15, Schaeuble had achieved all his goals and Tsipras was left clutching at straws. The Greek premier will have to show more wisdom and sense to see this process through. Why would Greece care about what Schauble wants? He is increasingly isolated and marginalized in an otherwise fragmenting "Europe". Not that "Europe" ever existed but let's say it did in an amorphous and vague form which is useless any which way you see it. Fools only believe that Schäuble ever will agree to any debt relief whatsoever. He did not before election, and if re elected will not after. PS: That 'robot check' is a full nightmare, why don't you disable all comments??? ?